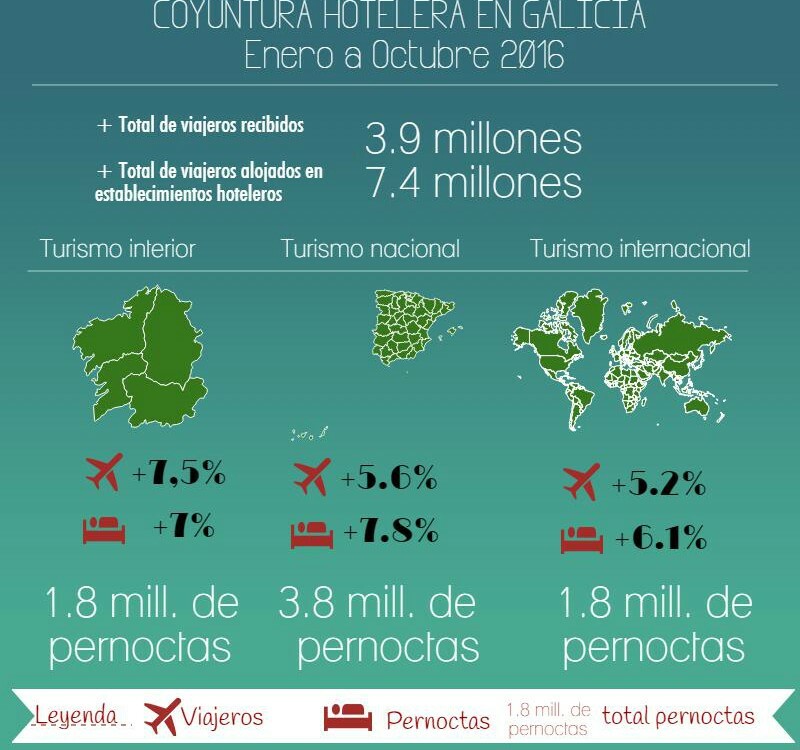 In what we do of year Galicia registered historical maximums of travelers housed in the hotels establishments as of overnight with almost 4 million travelers -3,926,577 travelers) and more than 7 million overnight stays -7.485.519-, figures that suppose a Increase of 6.0% and 7.2%, respectively, compared to the figures for the same period last year. 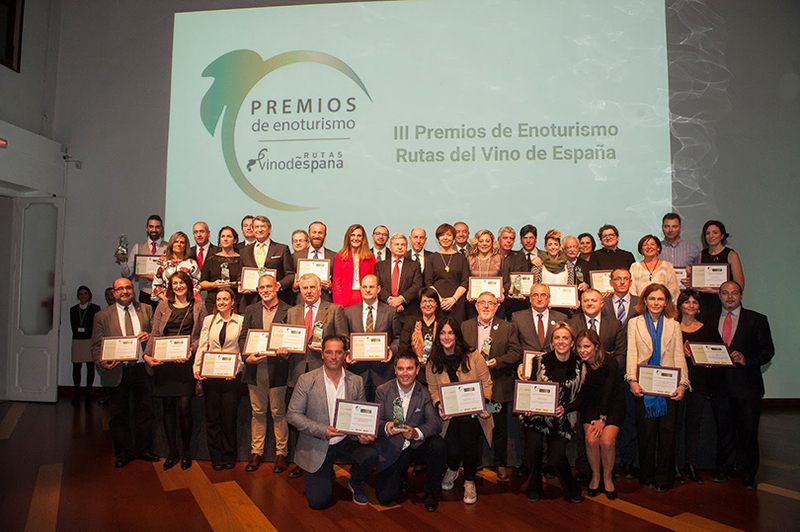 This improvement has also been reflected in the month of October, when our territory received more than 400,000 visitors, 8.9% more than in October 2015 with a few nights that almost reached 760,000, the highest figure in recent six years. 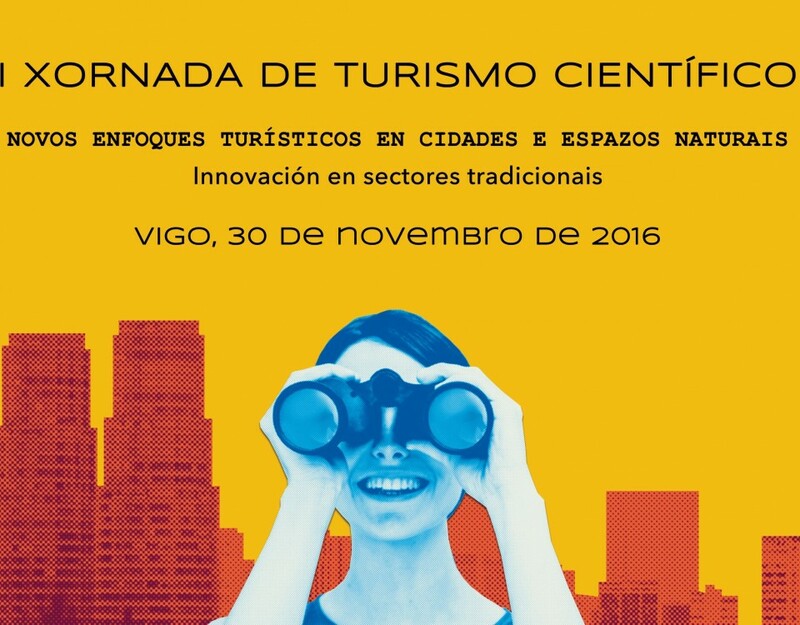 The improvement in the figures has been registered in the three major market segments, both in October and in the accumulated of the year. 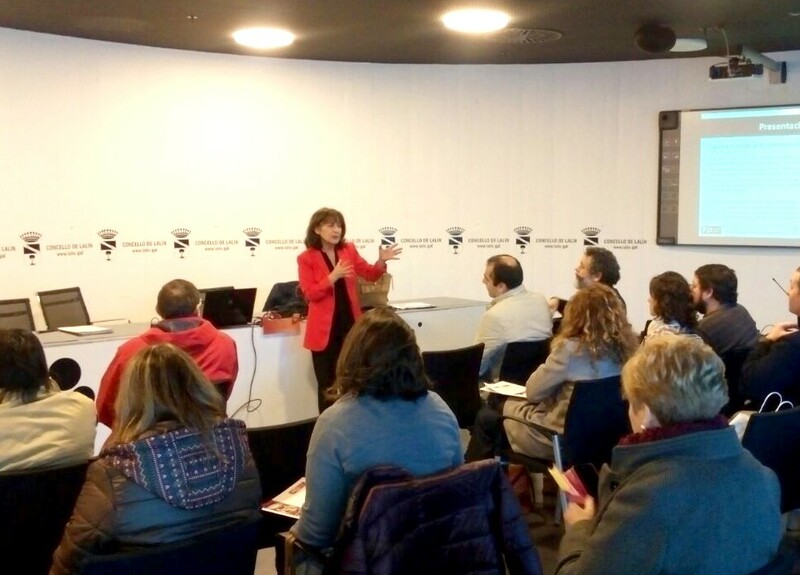 As regards the first ten months of the year, domestic tourism increased by 7.0% in relation to overnight stays and by 7.5% in terms of travelers, 1.8 million overnight stays, the highest figure in the last six years. 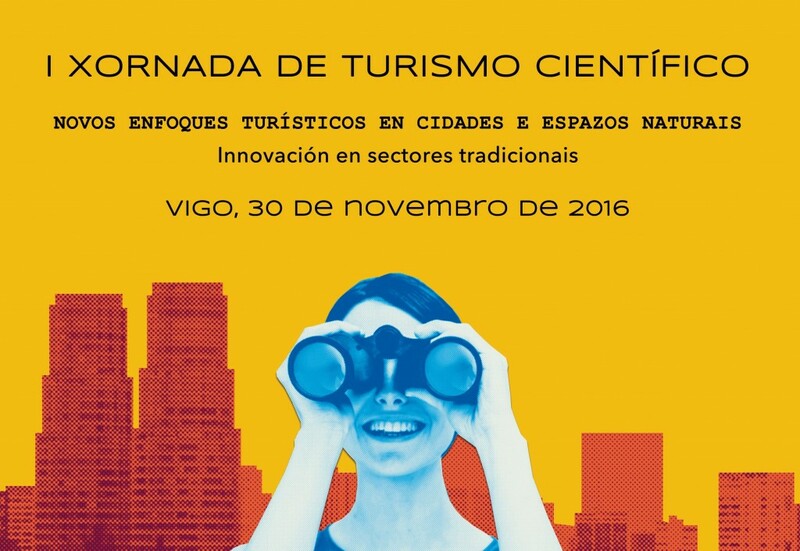 Meanwhile, international tourism grew by 6.1% in terms of overnight stays and by 5.2% in relation to travelers staying. The notable increase in international tourism meant that this market again achieved a record high of both travelers with more than 1.15 million and overnight stays with more than 1.8 million. 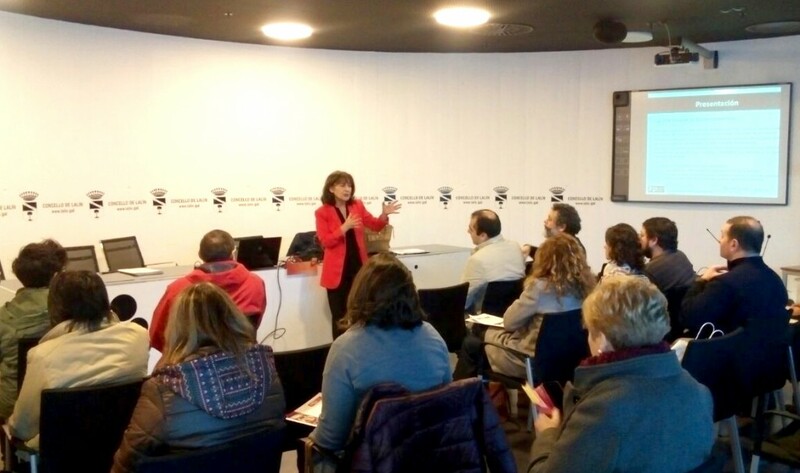 As a result of the improvement in overnight stays, the occupancy levels of the hotel sector in Galicia improved in relation to the same period last year by 2.4 percentage points, achieving the highest figure of the last nine years with an average stay of 1, 86 days. 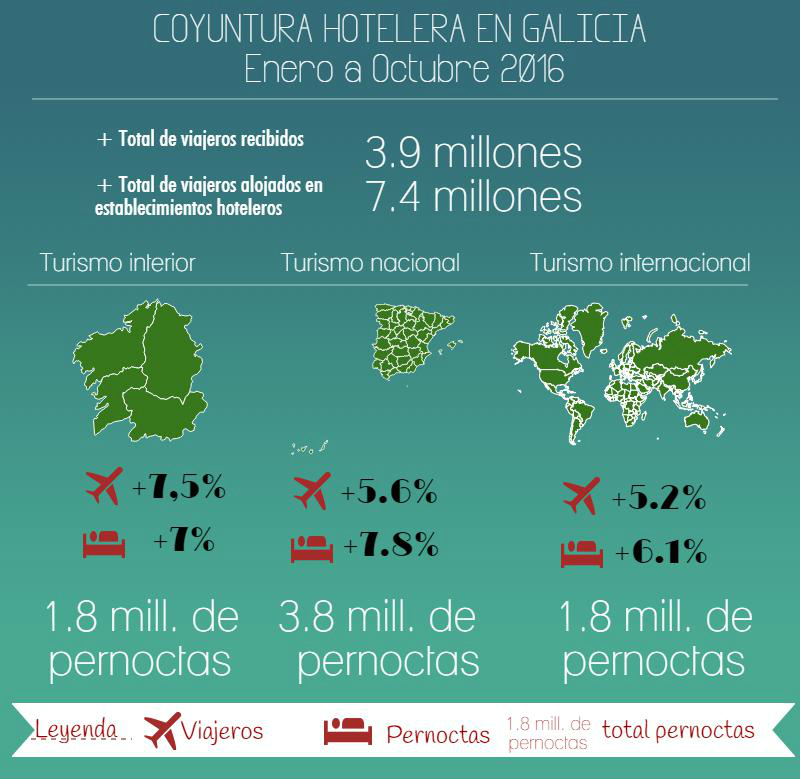 The average occupancy in October in Galician hotel establishments was 38.5% of their places and 44.57% of their rooms. Hotel prices experienced a rebound of 5.6 percentage points year-on-year. Thus, the profitability per available room stood at 26.68 euros, 16% more than a year ago; While profitability per occupied room increased by 3.5%, to 56.29 euros.